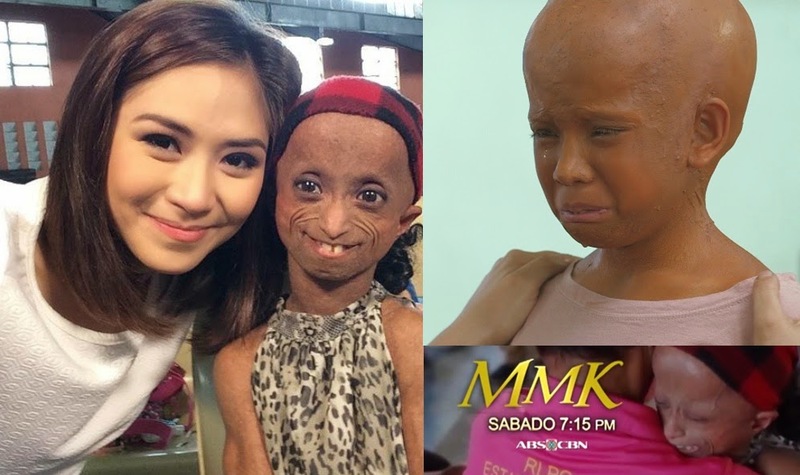 MANILA, Philippines - Award-winning child actress Xyriel Manabat portrays the role of a progeria-striken teenager named Rochelle, who, despite her ailment, lives a normal life in ABS-CBN’s “Maalaala Mo Kaya” this Saturday, December 20, 2014. At 5 years old, Rochelle’s body was overtaken by progeria, a rare genetic condition that causes a child’s body to show signs of aging. She was told by her doctor that she could expect to live only up to 15 years old. As the sad truth settles in Rochelle’s mind, she decides to live her short life to the fullest and experience things normal people experience–including falling in love. Will love keep Rochelle’s high hopes to live, or will it cause her more pain? Also starring in the upcoming “MMK” episode are Paul Salas, Aiko Melendez, Dang Cruz, Maggie Dela Riva, Ian De Leon, Eva Darren, Crispin Pineda, Paolo Angeles, Ishmael Claverio, Carlo Lacana, Andrei Garcia, and JM Ibañez as Angeline. It is directed by Mae Cruz- Alviar and written by Mary Rose Colindres and Arah Jell Badayos. Rochelle was also featured on ABS-CBN's 'Kapamilya Thank you' Christmas Station ID as actress-singer Sarah Geronimo granted her wish. Don’t miss the longest-running drama anthology in Asia, “MMK,” every Saturday, 7:15PM, after “Home Sweetie Home” on ABS-CBN.